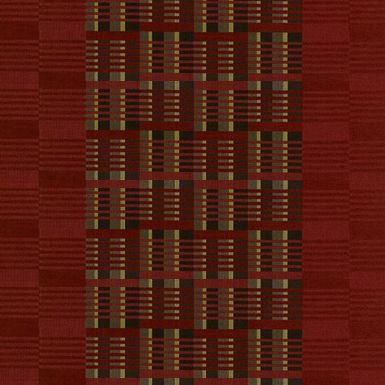 An abstract carpet that will keep patrons enchanted when they walk on it. The abstract design gives the carpet a three dimensional appearance and it will add a new depth to the room in which it is placed. 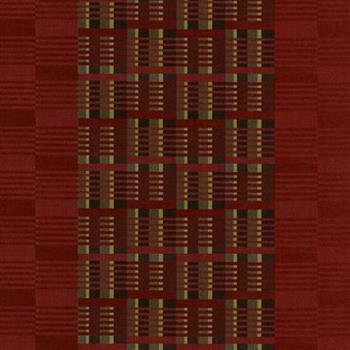 The coloring is features warm red tones with black, grey and just a hint of yellow. Made from 10% pre-consumed recycled content it is an environmentally sound choice, while the 10 year warranty will give you some peace of mind knowing that it will hold up. Each roll is 15’ x 150’ and is dyed to perfection with a pattern that repeats 90 in X 22 in.